The Four Seasons Hotel Philadelphia at Comcast Center will open in 2019. PHILADELPHIA—The Four Seasons is heralding its return to the city of Brotherly Love in 2019. 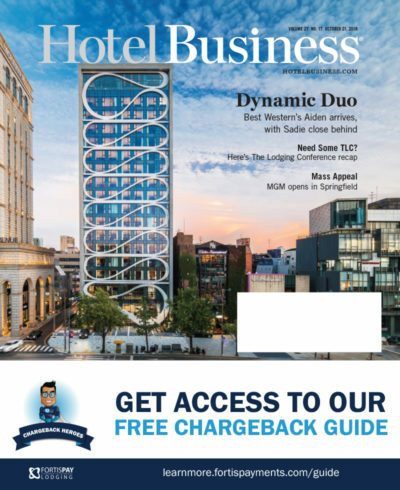 The new hotel will be housed in the top 12 floors of the newly built, 60-story Comcast Technology Center—the tallest building in the city. Designed by Foster + Partners, which is led by Lord Norman Foster, it is now one of two Comcast buildings in the city, with the other positioned across the street. “Comcast could’ve brought the headquarters anywhere in the world. 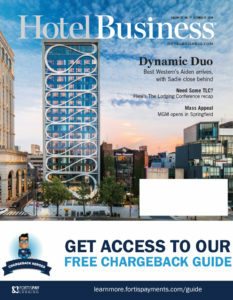 They kept it here in Philadelphia, and building this spectacular project makes it very much a campus, so this part of the city is continuing to be activated,” said Ben Shank, GM of Four Seasons Hotel Philadelphia at Comcast Center. From high atop its perch on the 60th floor, the hotel will take advantage of its expansive views of the city with floor-to-ceiling windows in the arrival area and guestrooms, keeping the best of Philadelphia always in sight. “It’s a very understated, contemporary and Zen-like feel with a lot of neutral colors and 11-ft. ceilings. We have this beautiful local birch [sourced from Fessenden Hall, a local family owned business]that is the predominant millwork and stands as the artwork in the room,” said Shank, who started his career in hospitality nearly two decades ago at the original Four Seasons in Philadelphia, which the hotel company operated from 1983 to 2015. “Guests will come in through one of the express elevators—all glass enclosed—so the point of view will give you a real sight of the city. It’s only a 60-second journey from the bottom to the top,” said Buchholz. Being housed in the Comcast Technology Center has its privileges: The guestrooms—which range in size from 350-450 sq. ft.—will be outfitted with a bespoke hospitality platform by the technology service provider. 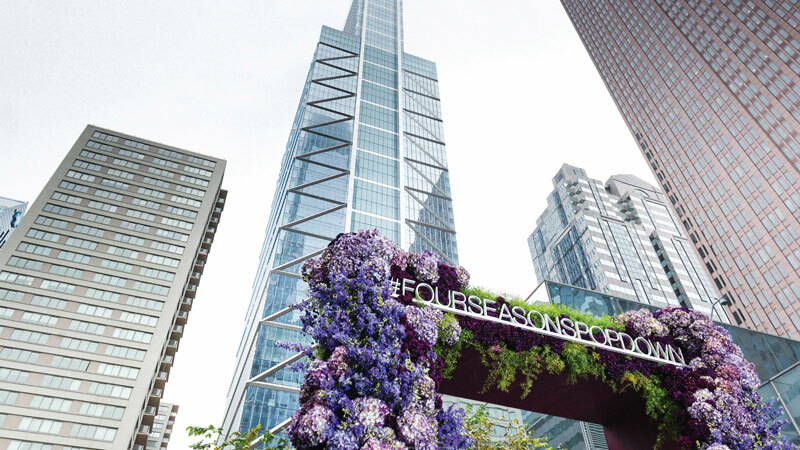 Access to forward-thinking technology is just one reason the Four Seasons Philadelphia closed in 2015 with plans for a new location here. And now, a new chapter is set to begin. But this isn’t just a brand story—the entire project is truly a love letter to Philadelphia. By tapping into local talent and resources, Four Seasons guests also will receive a true taste of Philly. James Beard Award-winning chef Greg Vernick, owner of Vernick Food & Drink, which focuses on New American cooking, will open two new F&B venues inside the Comcast building—Vernick Coffee Bar and Vernick Fish. The casual coffee bar will serve artisanal coffee and tea, as well as breakfast and lunch items, while the street-level seafood restaurant will provide an extensive menu of prepared fish and shellfish, as well as a selection of other proteins and vegetables. In Philadelphia, Vernick was first exposed to the world of food through his grandfather, who owned a local butcher shop, and his mother, a restaurateur. Vernick also developed his cooking skills working in the kitchens of restaurants helmed by world-renowned Chef Jean-Georges Vongerichten, who is also bringing his own brand of culinary excellence to the Comcast Center via a restaurant and lounge on the 59th and 60th floors of this Four Seasons.